Stock markets are behaving in rather strange ways lately, volatility is rather high with about 14 days with more than 90% up or down days over the last two months. Normally there are only 2 such days in an entire year. Only a month ago we had the flash crash and I understand that something like 70% of all trades in the S&P are now of the “frequent trading “ variety which essentially means that they are computer driven and almost always geared to momentum that is to say, mindless monkey do as monkey sees type of stuff. Very frustrating for both bears and bulls. Furthermore just a few days ago we were at levels fist reached back in September or October last year , meaning that we accomplished nothing for almost an entire year. From an EW point of view things are not that much better. 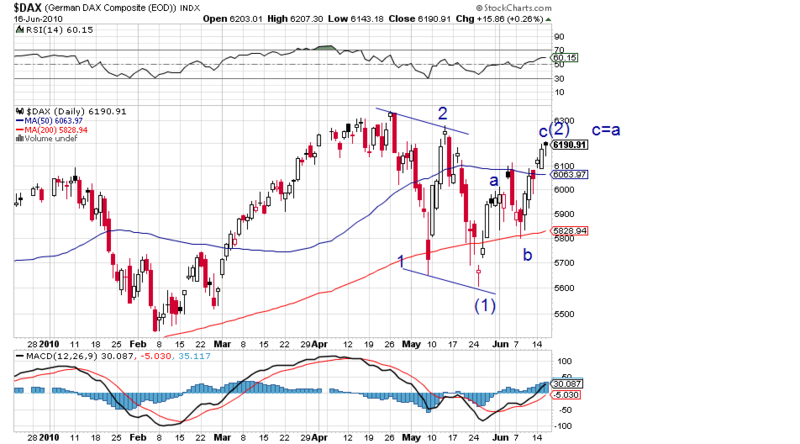 In both the S&P and the FTSE a clear 5 wave down can be seen followed by an equally clear counter-trend a-b-c. 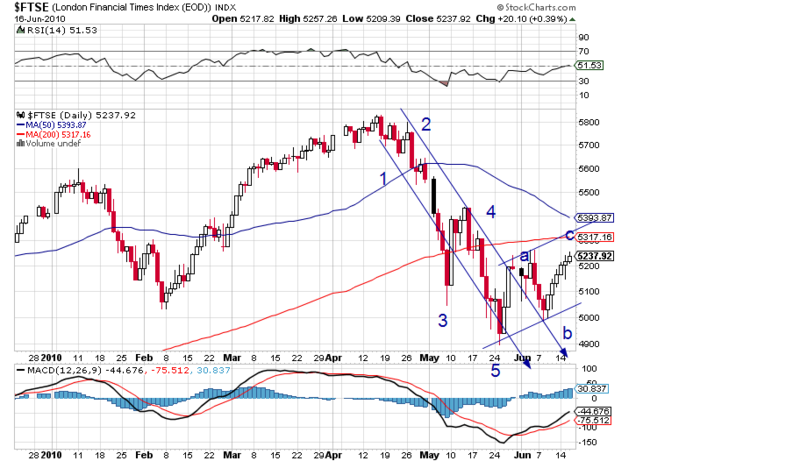 This very strongly suggests that the large down-leg anticipated has actually started. The TSE does not show the 5-waves down but the start could have been a “diagonal” type 2 (the only impulsive structure that allows overlap). The DAX, to be bearish, must have been a 1-2, 1-2 sequence but the percentage of the retracements is approaching levels that make this scenario less likely by the minute.